Do you have a friend raving about how awesome a vacation Reykjavík is? You’re not alone. It’s one of the hottest travel destinations out there — and for good reason. With plenty of United Airlines® flight options, getting to Iceland is easy and quick. And once you arrive, there’s no shortage of extraordinary sights and experiences with United Vacations®. We are talking about excursions to volcanos or the Blue Lagoon or hot springs during the day, with unique restaurants and friendly local joints at night. If you are a fan of strapping on hiking boots and seeing nature at its finest, put Iceland at the top of your list. 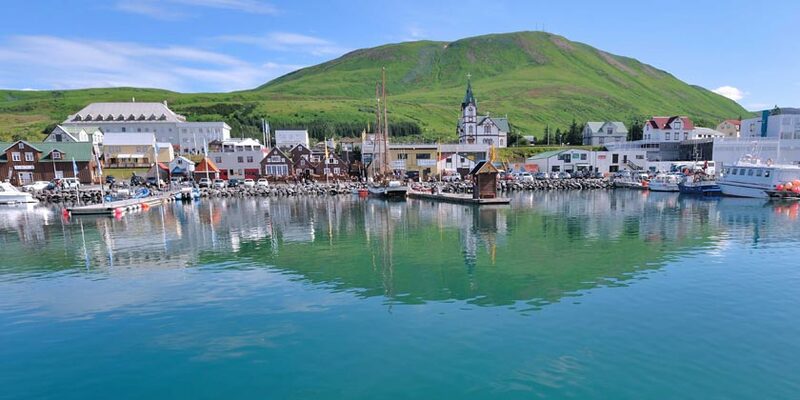 Explore a vacation package to Reykjavik today. Experience the amazing wildlife with many species of whales, dolphins and even seals. Explore lava fields, icebergs, and glaciers with help from a friendly, knowledgeable guide. In addition to puffins see other birds such as eider ducks, arctic terns, guillemots and cormorants. This glacier hiking trip takes you along the riddles of the glacial wonder world. An iconic city sightseeing bus tour, passengers are able to hop-on and hop-off at any of the 15 tour stops along the route. Experience this small group, 25-minute tour of one of the best micro-breweries and bistros in Reykjavik. Resort info: Located in Keflavik (Reykjanesbaer), Hotel Grasteinn is convenient to The Icelandic Museum of Rock n Roll and Viking World Museum. Resort info: With a stay at Fishermans Village in Alftanes, you'll be by the sea and close to Bessastadir and Museum of Hafnarfjordur. Resort info: Enjoy recreational amenities such as a sauna and a fitness center. Additional amenities at this hotel include complimentary wireless Internet access and concierge services. Resort info: A stay at City Park Hotel places you in the heart of Reykjavik, walking distance from Asmundarsafn and Laugardalsholl. Resort info: Take advantage of recreation opportunities such as bicycles to rent, or other amenities including complimentary wireless Internet access and tour/ticket assistance. Resort info: With a stay at City Center Hotel, you'll be centrally located in Reykjavik, steps from Parliament House and National Cathedral. Resort info: With a stay at Hotel Odinsve, you'll be centrally located in Reykjavik, steps from Asgrimur Jonsson Collection and minutes from Hallgrimskirkja. Resort info: Minutes from Reykjavik City Library and Reykjavik City Hall, and close proximity to National Cathedral and Parliament House.